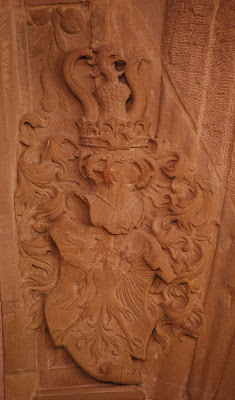 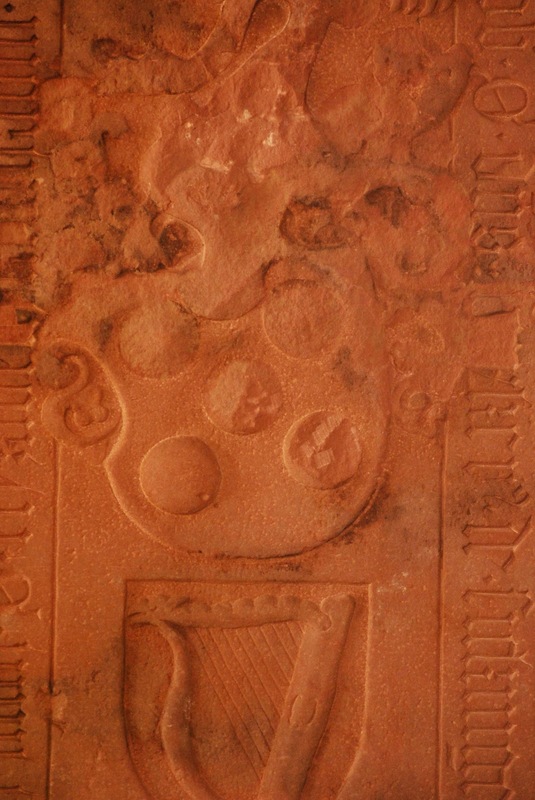 Are you getting tired of photograph after photograph of some of the heraldry I saw in Heidelberg? 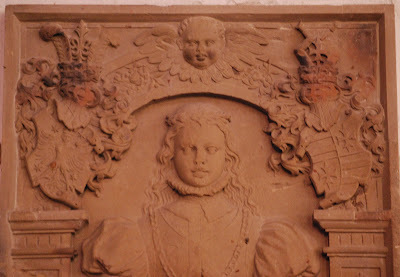 Me neither. 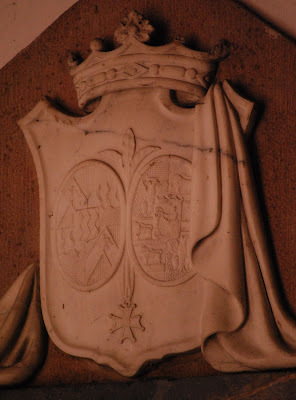 But all good things must come to an end; we were really there for only two and a half days, and were spending a fair bit of time looking for addresses and sites related to my German ancestors there, so there really is only so much heraldry that I could have photographed during our stay. 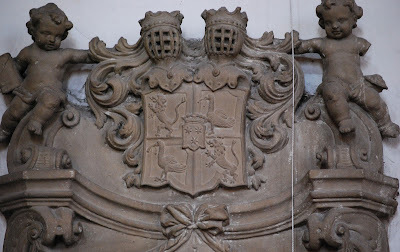 Anyway, there are some great carved heraldic monuments in the Holy Spirit Church, fine examples of both German heraldry and the stonecarver's art, most done in the red sandstone from which so many things in the city are made. Enjoy! 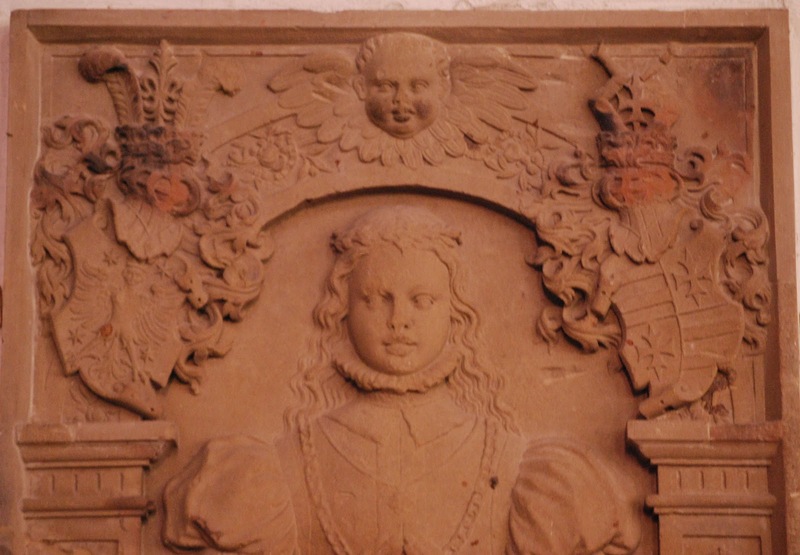 The arms over her right shoulder, on the left as you look at the picture above, are very similar to the arms of Nuremberg with the main charge being a crowned frauenadler (in English, harpy), only here there are four mullets of six points surrounding the frauenadler.